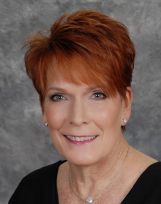 "Beverly Hart is not your average realtor. I was looking for a teammate, to partner with me in the process of selling my home. Beverly was that and ... more "
"Beverly Hart is AMAZING. Our experience with her was wonderful. We were first time home buyers and were looking in a very specific neighborhood in ... more "
"Words can't express how much we appreciate Beverly! During a very difficult relocation process (due to our builder), she stayed with us every step of ... more "
"Beverly's experience and professionalism is priceless. She gave us a lot of care and attention throughout the entire process of selling our home and buying a new home. Her results speak for themselves. We could not be more thrilled!!" "She is the best real estate agent we have ever had. She is professional and really knows the Gwinnett County market, from purchasing to selling. She is the best!" "She is the nicest agent I have ever dealt with. Very knowledgeable and helpful." "Thanks for doing a great job for us! You were very helpful through the relocation process." "She is knowledgeable and honest. Beverly really knows her stuff and makes every step of the process very easy"
"Beverly is a people person and is very approachable when issues arise. We enjoyed working with us." "Provided great advice and was available to help with our immediate needs." "She was very professional, organized and made good sue of technology and the internet. She has always worked hard for us!" "She was knowledgeable, helpful, enthusiastic, flexible, and made the process painless. She was there when I needed her."